2nd half 4th c. BCE. Found in the Orela II Thracian tumulus, Strelcha, Pazardijk region. 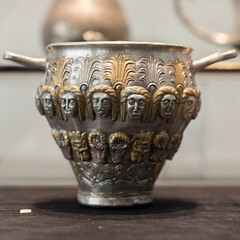 National Archaeological Museum, Sofia, Bulgaria.